The United Nations has pleaded with Iran to review its punishment laws after it emerged the country has been sentencing children as young as 15 to death. UN human rights experts revealed at least 90 children - those under the age of 18 - were waiting on death row. They made the plea for Iran to abide with international laws as two youngsters, aged 17 and 15 at the time of their sentencing, were finally handed the dates they would die. 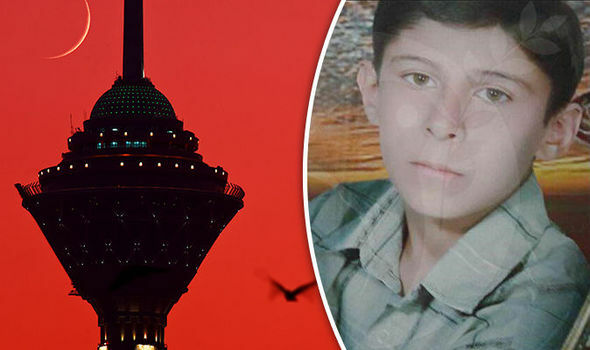 Peyman Barandah, who was sentenced in 2012 at the age of 15, is scheduled to be executed on May 10. And the execution of Mehdi Bohlouli, who was 17 when handed the ultimate punishment in 2011, was scheduled for April 19. But Bohlouli’s execution was delayed just hours before the deed was due to be carried out. Both were handed the death penalty for murder after being convicted of stabbing another man to death during a fight. Asma Jahangir, Special Rapporteur on the situation of human rights in the Islamic Republic of Iran; Agnes Callamard, Special Rapporteur on extrajudicial, summary or arbitrary executions; and Benyam Dawit Mezmur, Chairperson of the Committee on the Rights of the Child, led the calls for change. The trio said: “These executions must be halted immediately and the death sentences quashed. “We also call on Iran to commute without delay all such sentences imposed on children. “These two cases bring the total of juvenile offenders scheduled for execution that we have become aware of in Iran since January to six. The horrifying decisions come despite the Islamic nation ratifying both the International Covenant on Civil and Political Rights and the Convention on the Rights of the Child. This should legally bind Iran to ban the death penalty for all those aged under 18. And in 2013 the Middle Eastern country amended its Islamic Penal Code and introduced the possibility for juveniles sentenced to death to be allowed retrials. Last year, the regime gave assurance that this would systematically apply to all children currently waiting on death row. And it emerged that some children who were granted retrials were later re-sentenced to death.